Earlier this week, NPI (Nissan Philippines, Inc.) launched the super-sized NV350 Urvan Premium to bolster their already strong 2017 first quarter sales. It’s no secret that the Nissan Urvan is one of NPI’s bestsellers, making up 31% of the company’s total sales in 2016. And for that, the NV350 Urvan has become a valued member of the NPI family. But the value of this amazing bestseller doesn’t stop there. Nissan Philippines sees great potential in the Urvan for even better opportunities this year. The NV350 Urvan caters to 54% of the total market for vans, which consists of the business and/or commuter van category. The remaining 46% consists mostly of the private sector, consumers and families looking for a comfortable, practical, and fuel-efficient full-sized van. This is the market that the NV350 Urvan Premium is trying to reach. So, are you one of those consumers looking for a comfortable yet practical and fuel-efficient ride? The Urvan Premium is all of that and more. This super-sized van can practically give both the Brady Bunch and the Von Trapp family a comfortable and enjoyable ride. But what makes the Urvan Premium any different from the standard NV350 Urvan or any of its competitors? At first glance, a typical bystander may not notice any difference between the standard NV350 Urvan and the Premium model. But again, the key difference of both models is all about maximizing comfort and practicality. And that doesn’t necessarily require drastic changes in the aesthetics and overall design of the van. With these dimensions, the Urvan Premium has essentially become a serious contender against its major competition from other car manufacturers. 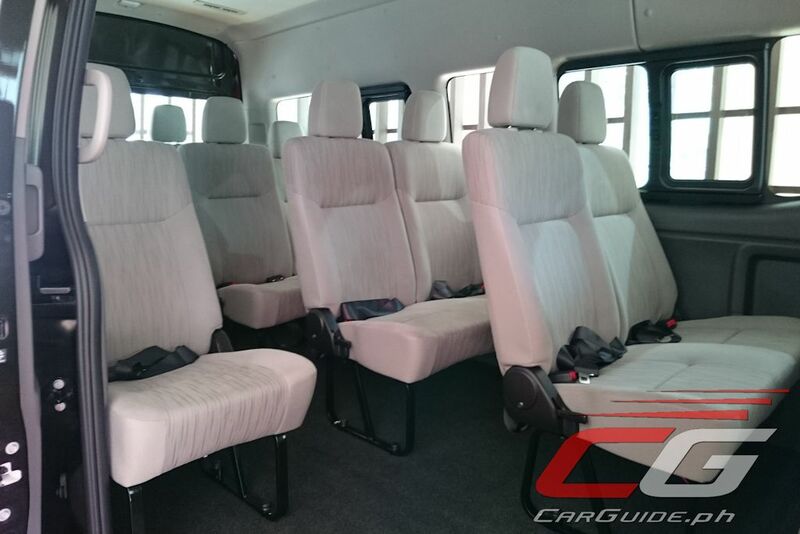 However, the 15-passenger seating capacity and the ample leg room, thanks to the extended wheelbase, have given the Urvan Premium an advantage over the other similar-type vans in the market. Vans are not really known for exquisite design and styling, regardless of the manufacturer. The main focus on the design of vans and other similar vehicles is to provide a comfortable ride to a large number of passengers. And that is what the Urvan Premium offers. However, when it comes to style and design, the Urvan Premium does not fall short on that aspect. On the contrary, the Urvan Premium actually looks great, both outside and inside. The exterior detail is striking, with amazing designs on almost every component, from the grille to the light fixtures. This is really a great vehicle, and a great value, for big families who love to travel a lot. 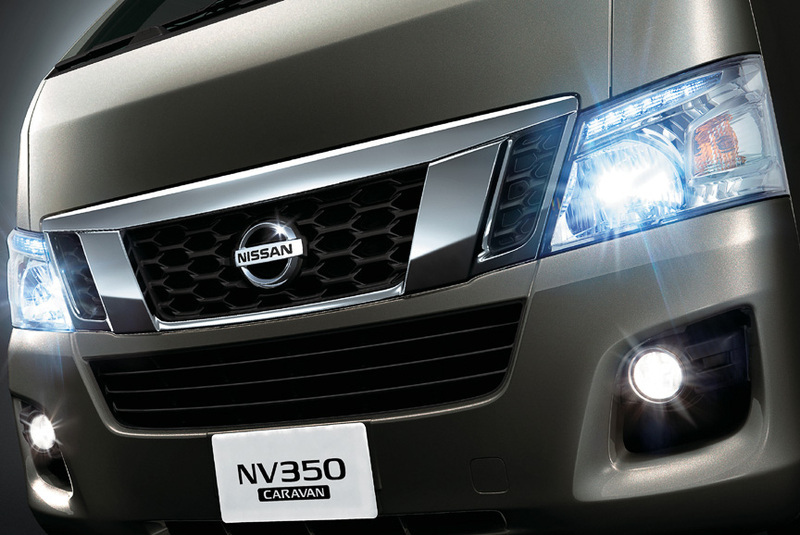 Download the Nissan Urvan Premium Brochure here. The Urvan is well-known for its spacious leg room, the remarkable seating capacity, and of course, fuel economy. The Urvan Fuel Rewards Program, presented by Nissan and Petron, is designed to double up on fuel economy and service value via Petron’s Value Card, which is given to every customer upon purchase of the Nissan Urvan within the promo period. So how does this reward program work? Eligibility for the program is reserved for purchasing customers who buy any variant of the Urvan within the promo period. The Nissan vehicle must also be acquired through any of the participating dealerships throughout Luzon, Visayas, and Mindanao. Anyone associated with the Nissan Group—shareholders, dealership owners, directors, employees, and their relatives—are not eligible for the promo. The Nissan Urvan must be purchased by the customer between April 1st and June 30th, 2017, which is reflected on the sale invoice issued by the participating dealer. The purchased vehicle must be delivered and accepted by the purchasing customer within five working days of the month immediately following the month specified on the invoice. Once the vehicle is delivered and the purchase is validated according to the terms and conditions of the promo, the purchasing customer is then given a free Nissan-Petron Value Card. The customer can use this Value Card to purchase Petron products and services in any authorized Petron Station in the country. The Nissan-Petron Value Card provides several major standard benefits and privileges, including free 24/7 towing and roadside assistance, free personal accident insurance, as well as earning a specific number of points for every purchase of Petron products, ranging from engine oils to diesel fuels and Petron Gasul. Are you planning on buying a brand new Nissan Urvan? Make your purchase now and avail of the Urvan Fuel Rewards Program. Ever wanted to buy an affordable sedan that offers luxurious design and fuel economy? The Nissan Almera may just be the right fit for you. It has an artistic style and luxurious design that will definitely turn some heads on the road. You can actually take home a brand new Nissan Almera for as low as PHP 35,000, the lowest down payment ever. It’s a great deal and a great value for your money. Nissan is also giving away three (3) brand new Nissan Juke 1.6 CVT Standard Editions to three lucky customers who purchased an Almera within the promo period. This is a nationwide promo. If the Nissan Almera isn’t enticing enough for you, then maybe the Juke will provide you with the right incentive to buy Nissan Almera? Buying one will give you the chance to take home the 1.6 CVT Juke SE as well. So who are eligible for the Nissan Juke raffle promo? First off, you will need to purchase any variant of the Nissan Almera within the promo period in order to qualify. 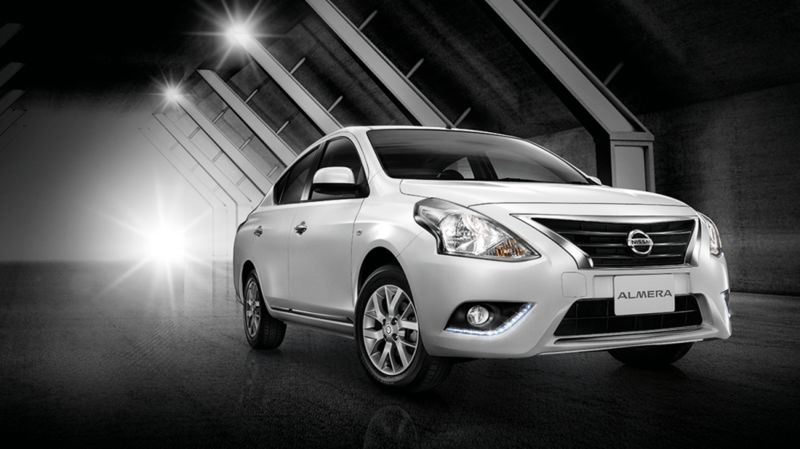 The Almera must be purchased through any authorized participating Nissan dealerships from Luzon, Visayas, and Mindanao. The Nissan Almera must be purchased within the promo period, which is April 1st to June 30th, 2017. The newly purchased Nissan Almera must be delivered to the customer no later than five working days, and it must be accepted by the purchasing customer. Once the delivery is completed and the conditions are met, the purchasing customer will then be given one (1) raffle coupon, which must be filled out and dropped at any of the designated drop boxes. So what are you waiting for? Contact your Nissan dealer now and visit the promotional link for more information about the Nissan Juke Raffle Promo. What Makes the Nissan Navara an Excellent Choice for Long Distance Travel? Summer is just around the corner, and you’re probably thinking about that long-awaited vacation with your family and friends. Nothing makes summer vacations more exciting than a road trip adventure, don’t you agree? The fact is if you’re the type of person who craves adventure and loves to venture into the unknown, you’ll probably get more excited in the long trip ahead rather than getting to your destination. For people who love long distance road trips, see the beautiful countryside, and experience the excitement and joy that only road travel can offer, summer is virtually synonymous with adventure. And that is what the Nissan Navara can provide for the enthusiastic road traveler. Its many features are practically designed to enhance the experience of any road trip, regardless of distance or road conditions. What Makes the Nissan Navara a Great Companion for Road Trip Adventures? 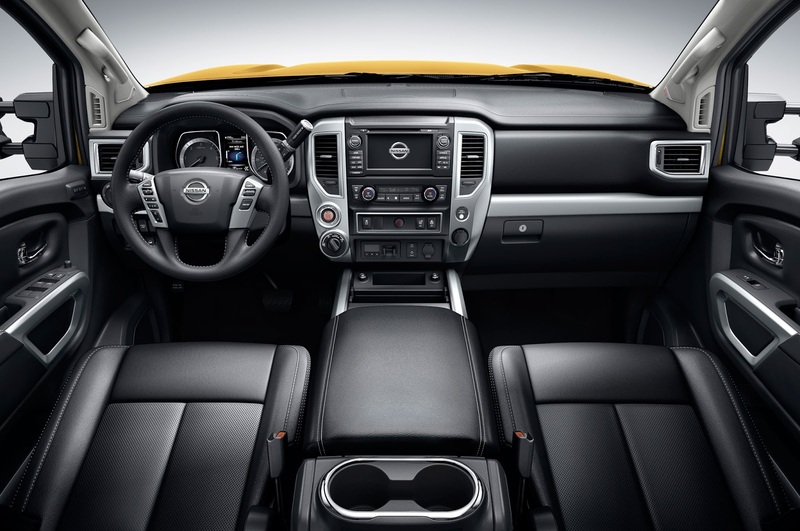 The Navara is equipped with the most innovative specifications, class-leading technology, and the most advanced features in road safety and comfort. There is a reason why it’s one of the most highly anticipated vehicles in the past couple of years. Even for a utility vehicle designed for toughness and performance, you should never underestimate the importance of artistic design and looks. The Navara boasts of an aesthetically pleasing design, from the front grill all the way to the rear. The aerodynamic design and sleek contours of the vehicle exudes innovation in engineering, while the LED daytime driving lamps and the projector HID headlamps simply conveys the level of sophistication and technology that goes with this amazing machine. And the 18×8-inch alloy wheels the double-cab Navara sits on just screams superb road performance. Everything about the Navara conveys toughness, optimum performance, and power. When you buy a Navara, you will get a choice among three types of engines: a 140-kilowatt twin-turbo diesel, a 120-kilowatt turbocharged diesel, and a 122-kilowatt petrol engine; all of which can provide enough power to tow up to 3.5 tons of weight, more than enough to provide a smooth and effortless ride across the countryside with a full cargo. The amount of torque the engine can provide will give you enough control to traverse any terrain, any road conditions, without worrying about losing power. And when it comes to fuel economy, the Navara (with the twin-turbo variant) only consumes about seven liters of fuel per 100 kilometers. Talk about fuel efficiency! For long-distance road trips, especially under the hot summer sun, comfort is everything. And in that particular category, the Navara goes all out. 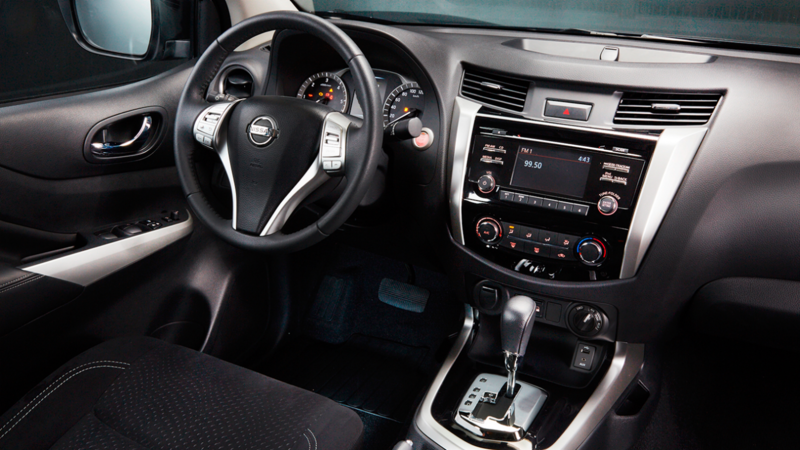 For a utility vehicle, the Navara’s interior feels more like a luxury sedan than a utility truck. Most utility vehicles in the market don’t really focus on the comfort of the passengers. Pickups and trucks are designed to perform and work, not for comfortable rides. The Navara, however, has broken the mold. Everything about its interior is all about providing entertainment and comfort to its passengers. The Navara is equipped with special suspensions that deliver a far smoother and more comfortable ride than what you would normally expect from a pickup truck or any utility vehicle. A power sunroof, rear-controlled air-conditioning system, and plenty of leg room—these are just a few of the many features the vehicle provides its passengers. Now, that you know what the Navara has to offer in terms of comfort, performance, and efficiency, it’s time to tackle the other important aspects of your planned road trip this summer. Plan the route you will be taking. Avoiding traffic and poor road conditions is great, but don’t forget about the sceneries and picture-taking opportunities. Remember, it’s not about the destination but the journey. Perform a thorough inspection of your vehicle before going on the road. Safety should always be a priority no matter what you’re doing. Make a list of everything you’ll need for the trip; food and snacks, first aid kit, allergy medication, maps, chargers for all your gadgets, etc. You should also make sure to preload your gadgets with entertainment options and apps that will help make the trip more enjoyable. Don’t forget to have fun. Road trips are all about enjoying the moment and taking the opportunity to spend quality time with loved ones. As if the original Nissan Juke wasn’t already enough of a standout in terms of style and pizzazz, after a year in the market, Nissan has come up with a way to celebrate the success of the Juke by introducing an even more stylish and eye-catching model. Here’s our latest offering, the Nissan Juke N-Style Special Edition. After the major success of last year’s Juke N-Sport, the Juke Stinger, and the Juke Black Pearl editions, the multinational car manufacturer has decided to grace its loyal patrons with a limited edition model, the Nissan Juke N-Style Special Edition. It comes with two color combinations; Cosmic Blue with white accents and Black Obsidian with yellow accents. What’s in store for this new Nissan Juke limited edition variant? The Nissan Juke was already a standout by itself. What could anybody do to make an already unique vehicle even more stylish and exceptional? Nissan outdid itself with the Juke N-Style. Its bolder, sleeker, and even more impressive look makes the N-Style a true masterpiece and a standout on the road. The Cosmic Blue variant gives you a Juke that has a refreshing look with a nice shade of blue, with white accents strategically placed in specific areas like the headlamp garnish, the handle covers, side mirror caps, and tailgate handle finishers just to highlight the sleek design of the car. The Black Obsidian variant does something different for the Juke. The shade makes the car look bolder and more lavish-looking. It’s the perfect color choice for someone who doesn’t shy away from the attention they might get from driving the Juke N-Style. This color variant has a yellow finish located in specific areas of the car, like the rear roof spoiler, front and rear bumper accents, side mirror covers, and so on. So what about the interior enhancements? 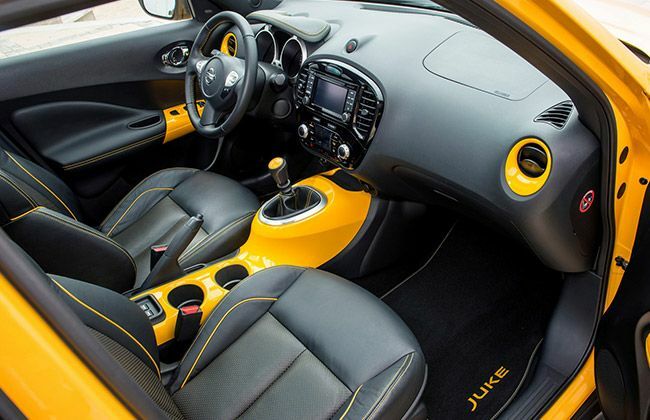 The interior features of the Juke N-Style are quite elegant. It’s full of style, lives up to its namesake, and has artistry worth admiring. Like the leather-wrapped steering wheel with colored stitching, the colored center console and shift panel garnish, the window switch finishers with color stitching, or the amazing work on the leather seats with colored stitching, the interior esthetics alone is enough to keep you in awe. When it comes to the core features, there’s not much difference between the original Nissan Juke and the special edition variant. 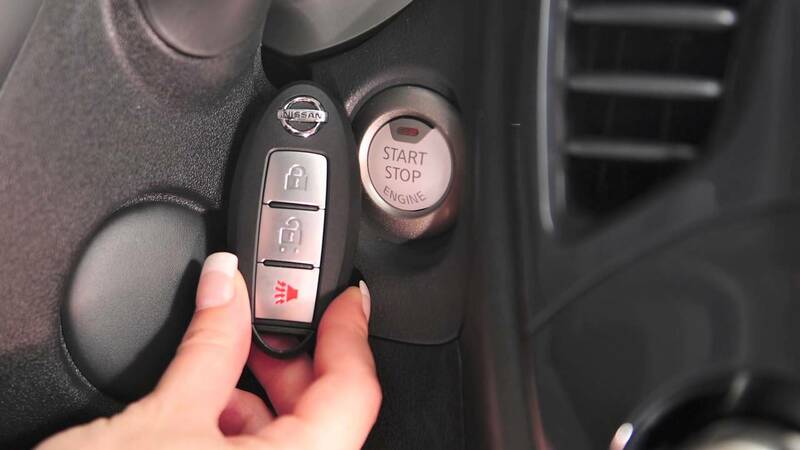 The N-Style still comes with the keyless entry feature and the standard push button-ignition option. Everything about the N-Style Juke’s cabin exudes comfort and efficiency, from the beautiful design of the gauges to the state-of-the-art control system that lets you adjust specific features inside the car with a single touch; from climate control to your preferred driving mode. And just like every car produced by Nissan, the Juke N-Style also adopts the Nissan Safety Shield Philosophy and features the latest technology in safety and protection for its occupants. The Advanced Air Bag System with dual-stage supplemental front air bags with seatbelt and occupant-classification sensors help ensure safety and protection for the driver and the passengers. Front seat-mounted side-impact and roof-mounted curtain side-impact air bags serve as additional protection throughout the cabin. When it comes to performance, the Nissan Juke, as well as the latest N-Style Special Edition, features a dynamic control system that allows you to take control of the vehicle with a simple push of a button. The control system lets you choose among three driving setups; normal mode, sport mode, and eco mode. The latter option is about fuel efficiency, as it allows you to make the most out of every drop of fuel. The Nissan Juke, and its different variations, also features the Xtronic CVT Transmission, providing an easy and smooth driving experience, as well as seamless transition between gears. Judging by the original Nissan Juke, its topnotch performance and great features, there’s really no reason why the Juke N-Style won’t be considered a best buy for any car enthusiast. It’s got the power, fuel efficiency, and the pizzazz you want in a car. You really can’t ask for anything better. So if you want to drive in style and standout on the road, visit a Nissan dealer near you and checkout your options. 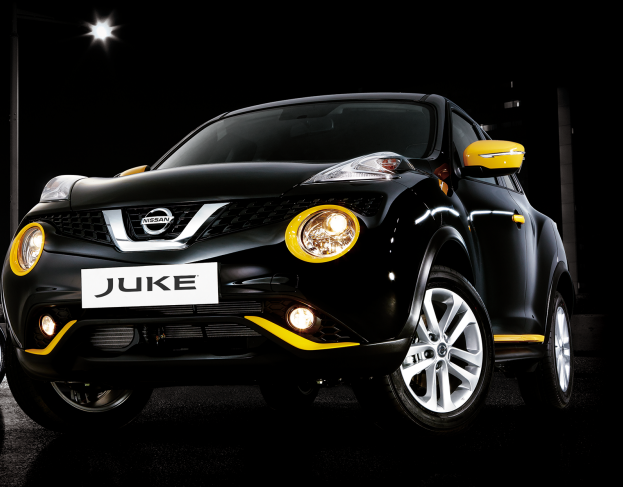 The starting price for the Juke N-Style is only PHP 1,080,000 and they’re only producing 500 units, so you better hurry. Don’t forget to follow and like Nissan Cagayan de Oro on Facebook for more updates on your newsfeed. The Consumer Electronics Show (CES), which is held every year in January in Las Vegas, Nevada, has a few notable highlights and surprises this year. From the latest in computer technology to flat screen TVs, to the newest smartphones and other smart home devices, all of the consumer products presented in the show early this year have certainly given us hope for a great and exciting 2017. Of all the newsworthy releases and presentations made by various electronics manufacturers, there is one announcement that really made a few ripples in the industry. That was when Microsoft announced its plans to integrate the Windows 10, along with its proprietary software Microsoft Cortana smart assistant, to a Nissan car. If this news tells you anything, it’s that some time in the near future, Windows’ smart assistant will play a major role in the way you drive your new Nissan car. Cortana is a software application that works as an intelligent personal assistant developed by Microsoft for various platforms, including Windows 10, Windows 10 Mobile, Windows Phone 8.1, their gaming platform Xbox One, Microsoft Band, as well as for the iOS and Android systems. This smart assistant can recognize the voice of the user and accept commands through audio input rather than typed commands via keyboard. It can answer queries by using data found through the Bing search engine, in addition to performing basic tasks like setting reminders and so on. Besides English, the Cortana smart assistant is also available in other languages, including Chinese, Japanese, German, French, Portuguese, Spanish, and Italian, depending on the region in which the software is used and the software platform being used. Microsoft’s Cortana smart assistant is not the first one of its kind; it’s competing with Google Assistant and Apple’s Siri. So what was so groundbreaking with Microsoft’s announcement in Nevada during CES 2017? If you take away anything from the consumer electronics show this year, it would be the great potential that the budding relationship between Microsoft and Nissan can accomplish in the near future. Microsoft has announced their plans to integrate their software into Nissan cars. The concept, if successful, is poised to compete with other smart car systems already available in the market. If you consider the software technology being used in most cars, today, it’s somewhat limited in its capabilities due to the fact that it’s all proprietary. Proprietary software development is great from a business standpoint, but you can’t deny the fact that it can keep the end product from reaching its full potential. Microsoft has been in the software development business for decades. Nissan has been in the automotive industry for decades as well. Now, you put the two together and you will be getting the best of both worlds. It’s easy to see how this can be a boon for us consumers. With Microsoft integrating its software into Nissan cars, you are not just driving a well-made and well-designed vehicle, but you will also have an intuitive and smart user interface on the dashboard. The future of smart automobiles has never been this exciting. Not since they invented the automatic transmission, perhaps? Here is where things can get a wee bit more exciting. Nissan released a demo video of what the Cortana software can do to your vehicle. 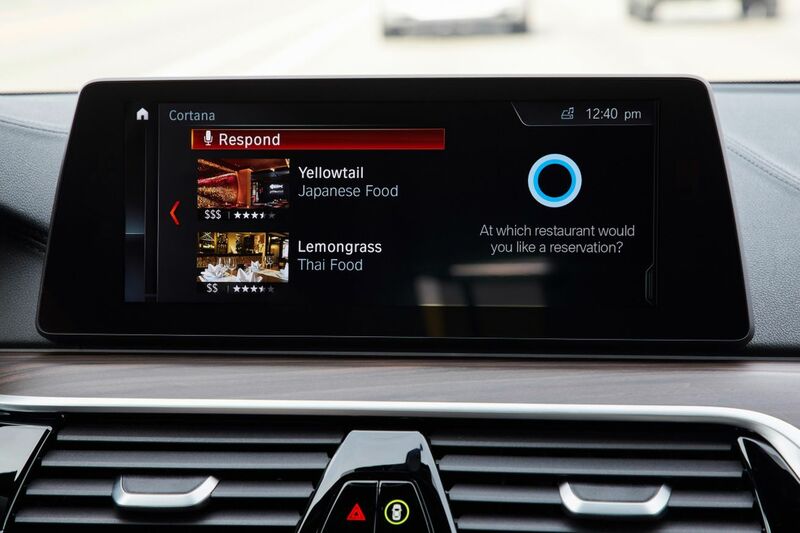 Apart from the fundamental features and capabilities of Microsoft’s smart assistant, there were glimpses of Cortana’s true potential in its full integration in self-driving vehicles, as shown in the video. With a few tweaks and further development, this smart assistant software would be capable of completely taking over a fully automated, self-driving vehicle in the near future. The same way similar software can fully control a smart home, from room temperature settings to security systems. There was one point in the demo video where Cortana actually asked the driver whether to engage the car’s automatic parking feature, this unequivocally shows the main goal of Microsoft’s efforts and initiatives in the field of automated vehicles. With this piece of smart technology, and the cooperation of two titans in their respective industries, the future of fully automated self-driving vehicles has never felt more realized. Visit your local Nissan dealer soon and check out their new smart assistant, Cortana. Have you watched Rogue One: A Star Wars Story? If you haven’t, are you excited to do so? We sure are! But did you know that the movie isn’t the only rogue you should be excited about? There is also the Nissan Rogue, a compact crossover that offers sophistication and functionality you aren’t likely to find in other models in its class. 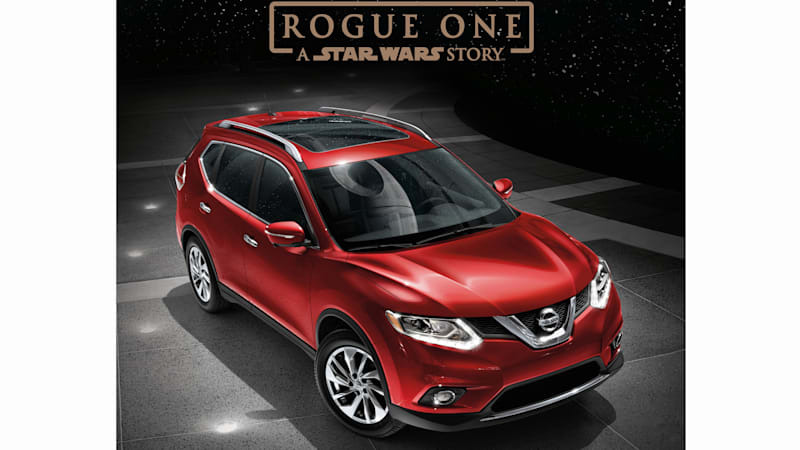 In this article, we will show you exactly why you should be just as excited about the Nissan Rogue as you are about Rogue One: A Star Wars Story. How do you form first impressions? Why, by setting your eyes on the product, of course! And when you set your eyes on the Nissan Rogue, we’re pretty sure your first impression will be an extremely positive one. The striking profile is the first thing that’ll get to you when you finally lay your eyes on the Nissan Rogue. It has muscular arches and crisp angles that are beautifully brought together by aerodynamic lines that flow perfectly. The design of the high-intensity LED daytime running lights help draw attention and admiration for the vehicle’s sleek front-end. When you take a look inside, you’ll be even more awed by the leather upholstery and other premium materials used to house the vehicle’s impressive technology. What kind of technology, you ask? Well, there’s the Zero Gravity seats that were specifically designed for comfort as well as Quick Comfort Heating, which you’ll be sure to appreciate when you’re driving on an especially chilly night. Of course, good looks aren’t enough reason for anyone to buy a car or even get excited about its arrival on the market. Fortunately, the Nissan Rogue isn’t just about good looks. It most definitely has a lot more going for it. We’ve already given you a hint of how stylish and comfortable the vehicle’s interior is, but what about its functionality? Well it certainly helps you do what you need to do with ease. You need to transport more than three people to an important destination? You may do so in comfort, with the Rogue’s 3rd row seating. And guess what? The 3rd row seating can be folded down in case you need to move some cargo. It even has a Divide-N-Hide Cargo System that allows you to separate valuable cargo from non-essentials. Furthermore, an upper and lower deck enable you to store a great deal more than other vehicles in this class can carry. Around View Monitor – For most newbie drivers, the driving itself isn’t much of a problem. It’s the parking and backing up that usually causes jitters, right? 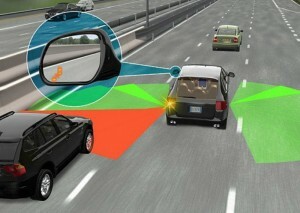 Well, with this technology, which includes moving object detection, parking and backing up has become so much easier. 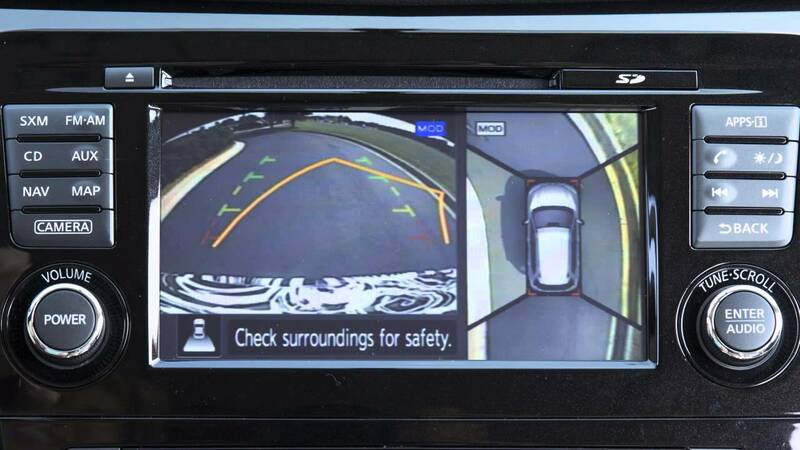 The technology makes use of four wide-angle cameras to give you an overhead view of your vehicle, thereby giving you a good view of everything around you while you park your car or back up. 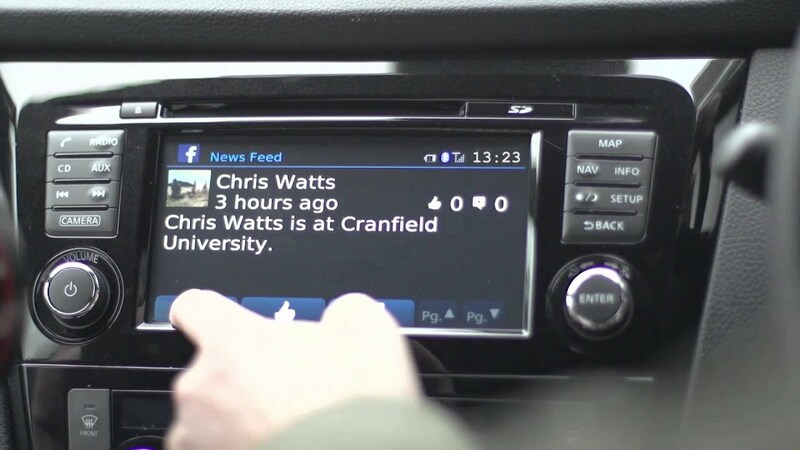 Nissan Connect – This is a comprehensive infotainment system that helps you stay connected via a variety of applications. It provides entertainment, news, and navigation assistance, among other things. And all these are provided from just one dash-mounted touch screen. How cool is that? Siri Eyes Free – It isn’t safe to be on the phone while driving, right? With this technology, talking on the phone while driving has been made a whole lot safer. It enables you to access your smartphone without ever taking your eyes off the road. Of course, we’re not encouraging you to make phone calls (or answer calls) while driving, but in cases of emergency where you just absolutely need to make or answer calls, at least you now have a much safer way of doing so. And speaking of safety, it is well worth noting that the Nissan Rogue was named “Top Safety Pick” by the Insurance Institute for Highway Safety (IIHS) primarily because of the wide array of monitoring services and accident-prevention technology built into the vehicle. The Blind Spot Warning System, Forward Emergency Braking System, and Tire Pressure Monitoring System are just some of the most notable safety features boasted by the Nissan Rogue. It truly is a vehicle worth having. At the very least, it is definitely worth checking out. And when you do check it out, you’re bound to find that it is just as sensational as Rogue One, the movie we’ve all been dying to watch. Pickup trucks are among the world’s most popular vehicles, and for good reason. It is versatile and practical. So if you’re on the market for a new vehicle, a pickup truck is definitely well worth considering. And while you’re at it, why not take a closer look at the Nissan Navara, which is currently being showcased in Nissan Philippines’ #BuiltforBothWorlds campaign? Nissan is definitely not a newbie when it comes to presenting the world with pickup trucks of excellent quality. In fact, they’ve been coming up with tested and proven trucks for the past 80 years. And this year’s offering, the Nissan NP300 Navara, is both tough and smart—ideal not only for urban driving, but also for off-road adventures. This is how it is able to offer you the best of both worlds. That’s not even the only “best of both” the Navara has to offer. It is also highly commendable when it comes to both power and fuel efficiency. Plus, it features a tough frame that ensures durability and safety, while also boasting a soft and smooth interior that ensures a comfortable ride. The new Nissan NP300 Navara has been compared to a number of other pickup trucks and in these comparisons, it usually comes out victorious. The reason? Why, the fact that it IS built for both worlds, of course! This is why Nissan Philippines has decided to roll out a #BuiltforBothWorlds campaign for their top truck. As part of this campaign, a Navara unit was turned into an artist’s canvas on November 4 at the Corte de Las Palmas, Alabang Town Center. It was experimental artist John Carlo Vargas who worked on a dirt-covered Navara, transforming the dirt into art. The resulting “Dirt Art” was then put on display until November 6. With the campaign rolling, a similar art display may just be coming to your area soon. But do you really have to wait when you can have the best of both worlds now? Our racers may not have bagged the championship, but it definitely was an eventful GT Academy run for Nissan Philippines. If you hadn’t had the opportunity to keep abreast of what happened during the 2016 GT Academy, then you’ll certainly be glad you came across this article. We’ll give you a quick rundown of what went down during this year’s round of competitions. After the first two live events of this year’s Nissan GT Academy (staged in SM MOA and Trinoma), Nissan Philippines got word that there were disparities in the lap times when compared to the results of the other live events held across the country. So the company and Sony Interactive Entertainment Asia (SIEA), who supplied the test kits during the events, conducted an investigation and found that the only difference between those two events and the other live events is the type of PS4 used for the pods. In the first two live events, the test kits were used; in all other live events, standard PS4 consoles were used. Nissan Philippines and SIEA then decided to invalidate the results of the first two live events and invited those who participated in them to set new lap times at another event where only standard PS4 consoles were used. Problem solved! On October 19, the Philippines team arrived at the Silverstone Racing Circuit in the United Kingdom for the third stage of the competition. This time, they had to battle it out with the best GT racers of Australia, Indonesia, Mexico, North Africa, and Thailand. Known as the Race Camp Week, this stage truly tested not only the respective teams’ driving skills, but also their mental agility, stamina, and strength. On the last day of the grueling week, October 26, Adriano IV and Jose raced against the top two drivers of the other teams in a 16-lap race. Jose had the best performance among the Pinoy racers, but he was unable to topple the eventual winner, Mexico’s Johnny Guindi Hamui. Johnny Guindi Hamui of Mexico is the 2016 Nissan GT Academy champion! We may have failed to bag the top prize this year, but if you think our GT Academy story ends there, think again. Filipinos have always been resilient, and we’re pretty sure that on the next round of competitions, our GT enthusiasts will be raring to go again! All-in promo for our latest cars here at Cagayan de Oro city. Check out some of our new offers labore et dolore magna aliqua. Ut enim ad minim veniam, quis nostrud exercitation ullamco laboris nisi ut aliquip commodo consequat. Excepteur occaecat cupidatat proident, sunt culpa officia deserunt mollit anim id est laborum. Nissan Cagayan de Oro dolor sit amet, consectetur adipisicing elit, sed do eiusmod tempor incididunt ut labore et dolore magna aliqua.